There's going to be a new love triangle on "Stranger Things" and um, what?! 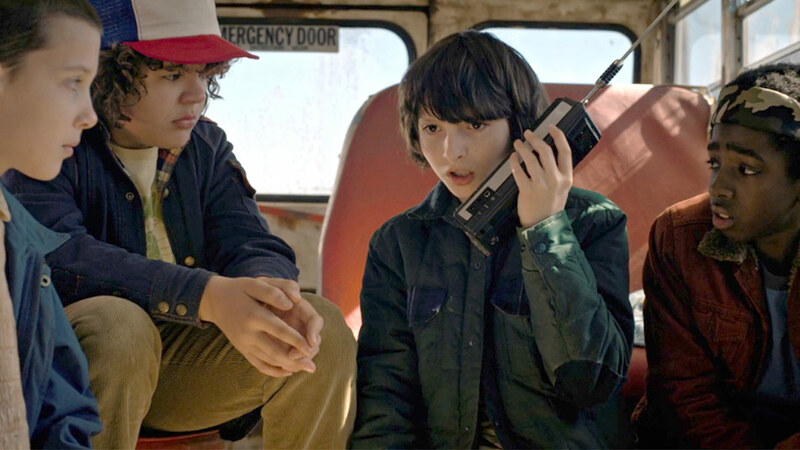 A romantic relationship between the two adults in Stranger Things was not a big focus in the first season of the hit Netflix series, but that might all change in Season 2. 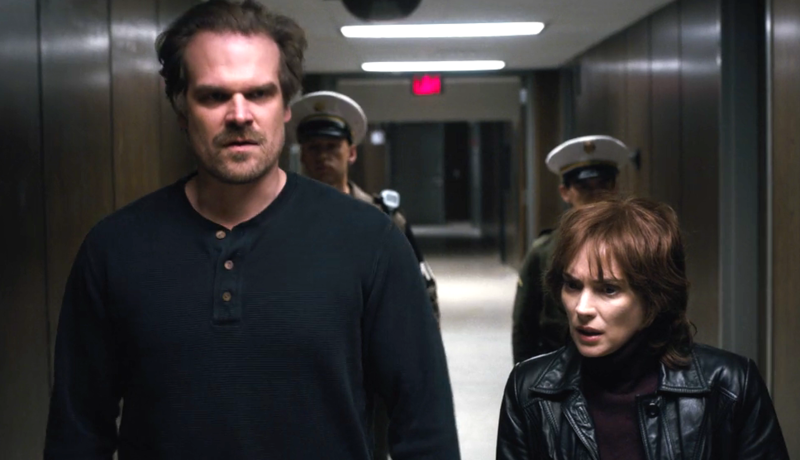 While on the Fan2Sea Comic-Con Cruise, HollywoodLife reported that actor David Harbour hinted that there will be a love triangle in Season 2 of Stranger Things. And no, we’re not talking about Nancy, Steve, and Jonathan. This time around, he was talking about a love triangle between the characters played by Harbour, Winona Ryder, and Sean Astin and we’re warily intrigued for this new dynamic. If you missed this news, Astin was added to the cast of Stranger Things back in November 2016. At the time, Entertainment Weekly reported that his character Bob Newby is “a kindhearted former nerd,” who manages the RadioShack in Hawkins and went to high school with Ryder’s Joyce Byers and Harbour’s Jim Hopper. Not only was this casting exciting because Astin is an 80s icon himself for starring in The Goonies, but it’s a great retro nod to have Bob be the manager of the quintessential 80s store RadioShack. Where else are the kids going to stock up on their walkie-talkies? However, according to Harbour, Bob will be doing more than working at RadioShack. He’ll also be romantically linked to Joyce — and Hopper is less than pleased about it. 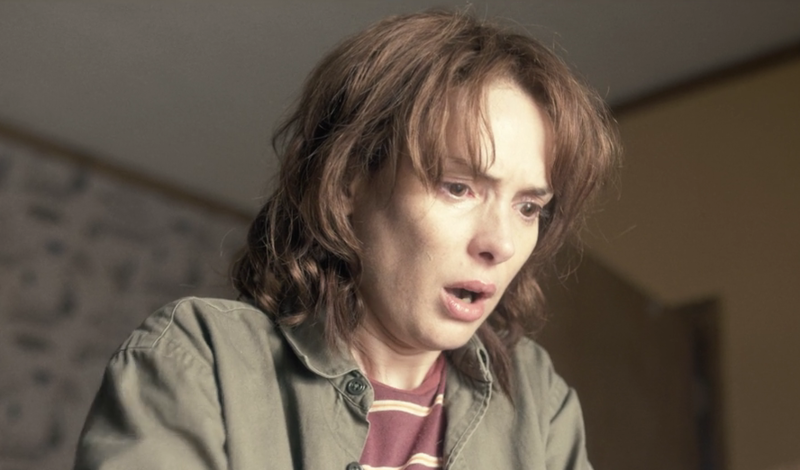 "We have Sean Astin … he's Winona's new boyfriend — much to the chagrin to [sic] the Chief of Police," Harbour said while the rest of the Stranger Things panel laughed during the Fan2Sea cruise. Although not too much was revealed about Joyce and Hopper’s relationship in Season 1, there seemed to be some sexual tension there. Whether Will’s mom and the Hawkins police chief once dated before or not, a romance appeared to be in the cards for their characters. Now, with the introduction of Astin — that will complicate matters for Joyce and Hooper ‘shippers. Although a love triangle is a pretty stereotypical move for a TV series, maybe a friendly competition between Hopper and Bob will lighten up Stranger Things Season 2 a bit — since we expect it to be fairly dark. And considering that Ryder, Harbour, and Astin are all skilled actors, we have reason to be cautiously optimistic that this will play out right. Just as long as Hopper and Joyce are the ones who end up together in this world or the Upside Down before Stranger Things is over.